The two biggest nuclear operations in Northwest Russia said Tuesday that they’re not behind a small bloom in radiation detected by Norwegian officials over much of Eastern Europe and Scandinavia last month. 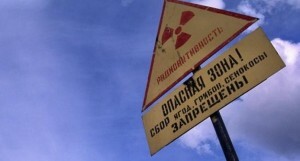 A station in Svanhovd, in Northern Norway near the Russian border first measured small amounts of radioactive iodine 131 in the atmosphere in January. Finland, Poland, Germany, Czech Republic, France, and Spain subsequently reported detecting it as well. Iodine is widely used for medical purposes, and in research and industry, but can also be a by-product of nuclear reactor accidents. It’s linked to cancer in high concentrations and can contaminate dairy products and produce. The discovery of the elevated radiation levels have led to inconclusive media reports and alarmed speculation on social media. Norway’s Nuclear and Radiation Protection Authority, or NRPA, said this week that the levels it picked up were very low and posed no threat to human health or the environment. But the origins of the release remain unclear. Iodine 131’s short eight-day half-life suggests the emission came shortly before it was detected. Monitoring stations in Russia have yet to release formal figures, but the spokespeople at the Kola Nuclear Power Plant and Atomflot, the country’s nuclear icebreaker port in Murmansk, told Bellona in a phone interview that the iodine 131 didn’t come from them. Given the evidence, there’s little reason not to believe them. 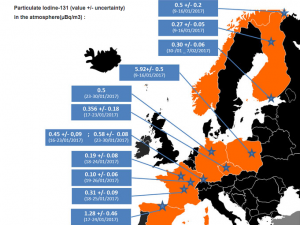 French nuclear safety officials at IRSN were the first to go public with a detailed analysis of their iodine measurements. 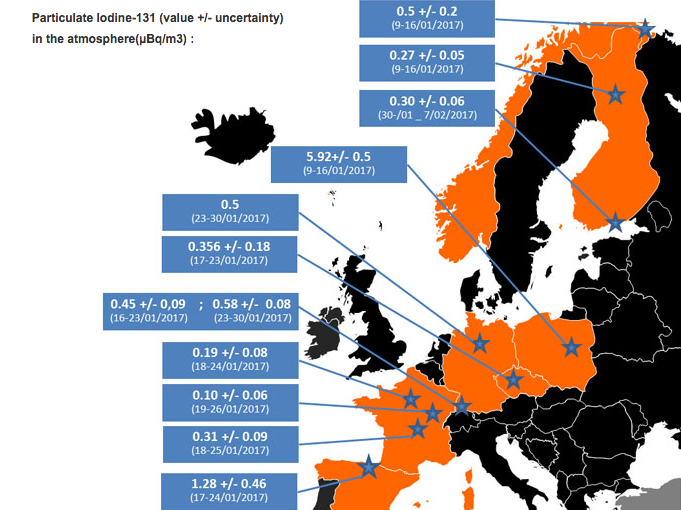 Finnish nuclear authorities at STUK followed and said they detected lower amounts of iodine than were picked up by the NRPA near the Russian border in Rovaniemi, Finland. That’s likely true, but IRSN’s data was reportedly enough to launch a US Air Force radiation detection plane based in England that was used following the Fukushima disaster in 2011, and the Chernobyl catastrophe of 1986. The Air Force has not commented what it may have found or where it was looking. Nils Bøhmer, Bellona’s managing director and nuclear physicist said some of the evidence points to the iodine 131 originating in Poland or Hungary. In a similar incident in 2012, a plant called Izotop Intezet that produces isotopes for medical purposes in Budapest was found to have released low levels of iodine 131. European nuclear authorities initially suspected Russia in that release, but Finnish regulators pointed to Hungary weeks later. Some sources have speculated that last month’s iodine release is consistent with nuclear testing on Novaya Zemlya, a Russian arctic archipelago that was a site for Soviet bomb tests. But Bøhmer said seismic monitoring stations would have corroborated a blast of that magnitude. Iodine 131 is also released in nuclear reactor accidents and malfunctions. Such was the case after the triple meltdown at Fukushima, when much of Northeast Japan was coated in the isotope contaminating mild and vegetables. No accidents in Europe or Russia, however, have been reported. A last possible cause for speculation would be decommissioned submarines in Russia’s northern fleet in Murmansk. But because those submarine reactors have been idled, and the vast majority of them have been dismantled, Bøhmer said naval iodine 131 was nearly impossible. Quotes from the NRPA spokeswoman Astrid Liland parallel to Bøhmer’s suggestion that the point of the iodine’s origin as central to Eastern Europe. She told the Barents Observer that the highest concentrations were noted in Poland, Norway and Northern Finland. By those indications, she said, Eastern Europe is the most likely place of origin. But she cautioned that bad weather at the time the readings were taken helped obscure their point of origin. It may take some time to establish the cause of the iodine readings, and in the meantime the bloggosphere and social media may draw conclusions of its own. The biggest consequence of the readings seem for the moment to be fear, levels of which, like the iodine readings, should return to normal.